Samsung Mobiles has started rolling out Android 4.4.4 KitKat update for Sprint Samsung Galaxy S5 Smartphone’s. So, if you own a one, then look at the notification bar of your Smartphone and see that the update is available for installation. Sprint already announced that Android 4.4.4 KitKat rolled out for Samsung Galaxy S5, but there was no confirmation that the update has hit any devices. Now it’s all confirmed that update with build number G900PVPU1ANI4 (Android 4.4.4) has been available for the Sprint Samsung Galaxy S5 Smartphone. 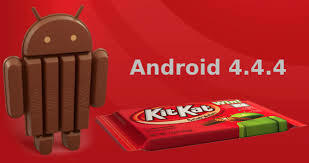 As it is Android version 4.4.4, it would be final KitKat firmware to be updated and the company’s will concentrate on next latest Android version i.e Android L 5.0. Google is planning got release this firmware later this year. Until you can update the device to Android 4.4.4 KitKat firmware and enjoy the new features. The update improves the Smartphone performance and makes the device more stable. The new firmware Android 4.4.4 with build number G900PVPU1ANI4 brings new features like new HD Voice icon, International VoWiFi support and multiple Google security patches. Also several minor bugs which found on stock Android can now be fixed with the update. The update can’t be arrived to Sprint Samsung Galaxy S5 devices which are using Stock ROM’s, so install stock android to receive the update. Apart from notification bar, you can also check for update by going to Settings > system Update > Update menu. There search for new update and download. Confirm the installation process and that’s it your device will be running on Android 4.4.4 KitKat firmware. 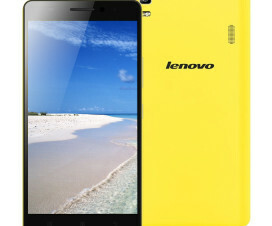 To check the firmware go to settings > About Phone > Version. As the update is via OTA (over-the-air) it is advisable to use high speed internet (3G, WiFi). Any problems while downloading and installing the firmware, lets us know by leaving a comment below. Also don’t forget to share the new features added to the Sprint Samsung Galaxy S5 device after the firmware update. Stay connected with us for latest Smartphone news and updates.